Selling Your Crafts – Who’d Have Thought? If it hasn’t occurred to you before – you may be missing a trick! We are entering an era where consumers are revolting against the mass-produced. I don’t know about you, but I don’t want to be seen in the same dress as someone else! That’s why I make my own. With a new movement, comes a new market. Like many of you, I’m lucky to be able to sew my own clothes and accessories. But what about all those people who can’t? There’s been an incredible response to this: a surge in online stores, where you can sell your own, handmade products. If you love to make, and have a spare few hours – give it a go! I’m Already Selling My Wares But I Don’t Know About Online! It can be demoralising if people don’t want to pay a reasonable price for your crafts – it can feel like they are basically saying your skills are not worth paying for! Even worse than that, is having all these amazing skills and products, but not knowing where to sell them and not getting them out there at all! Gone are the days of constant market fairs in villages; now you have to think globally, and a little bit more out of the box to ensure that you can shift the crafts that you have been making and make a business. You may laugh “business? I’m only selling hand knitted scarves!” Well don’t put yourself down! When you’ve spent a huge amount of time, effort and skill on creating something that is incredibly beautiful, you need to make sure that you receive a proper price for it! After all, as much as you enjoy what you do, you are trying to make a business out of it! The internet is a wonderful source of inspiration for craft ideas, and it is also a wonderful arena for selling your crafts. You’ll find yourself amongst sellers who are all pricing themselves like you – so the customers attracted to the sites will already be ready to pay a fair price for your craft. 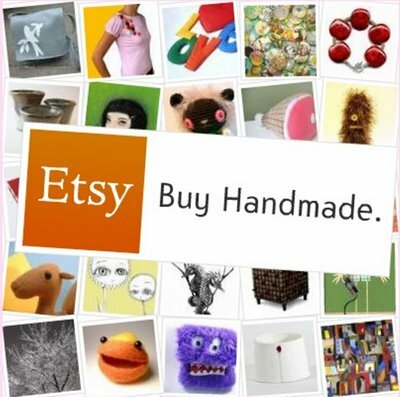 Of all of the different craft, handmade, and vintage selling websites that exist, Etsy is probably the most famous. It was launched in 2005, and has gone from strength to strength in the years that have followed. Since it’s begun, over fifteen million people have purchased something from this website. That’s a huge potential market out there for you, already established. It costs $0.20 (approx 12p) for each item you post, and Etsy takes a 3.5% commission of the sale price once it’s sold. Thousands of designers have flocked to this website, because it offers a great UK-alternative to Etsy and engages people in the way that the crafts have been made. The only downside is that they take a bigger chunk of your selling price than other craft selling websites – 6% of your selling price. Craft supplies can also be sold here, so if you have any odds and ends left over from a project, then you can make some money back on them here too. 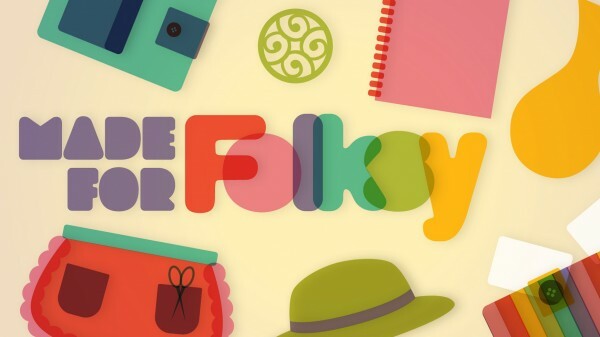 Marketed directly towards mums that are able to create beautiful and amazing crafts at home when not caring for their children, the items on here are typically jewellery and womenswear. Perfect if you are already creating crafts within this niche, as you will have a rapt audience waiting for the next big thing! Buyers are able to search by seller, condition, and artist name, which means that you can build up a real following on this website. If the crafts that you create are also food and drink, then we think that Wow Thank You is probably the best selling website for you. 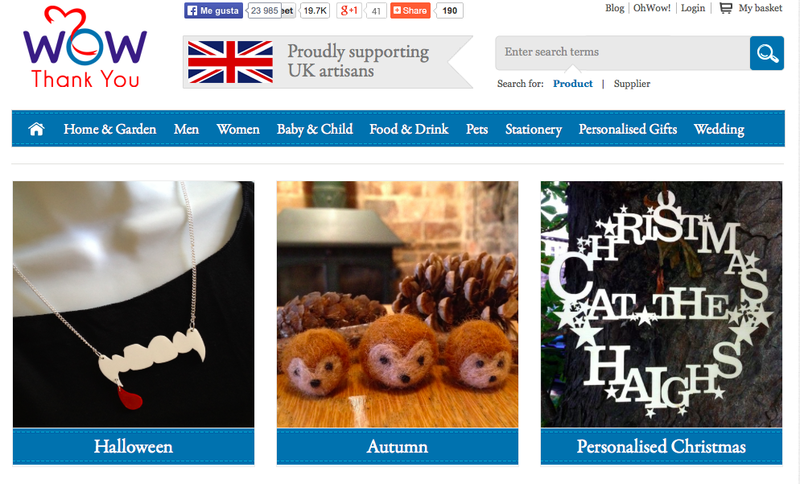 Proudly British, this website allows people to sell virtually anything that they have made. In order to sell on here, you will need to post on the forum and gain the attention of a moderator. I’d love to know your suggestions for fellow crafters, please do leave a comment below! Are my crafts good enough to sell?